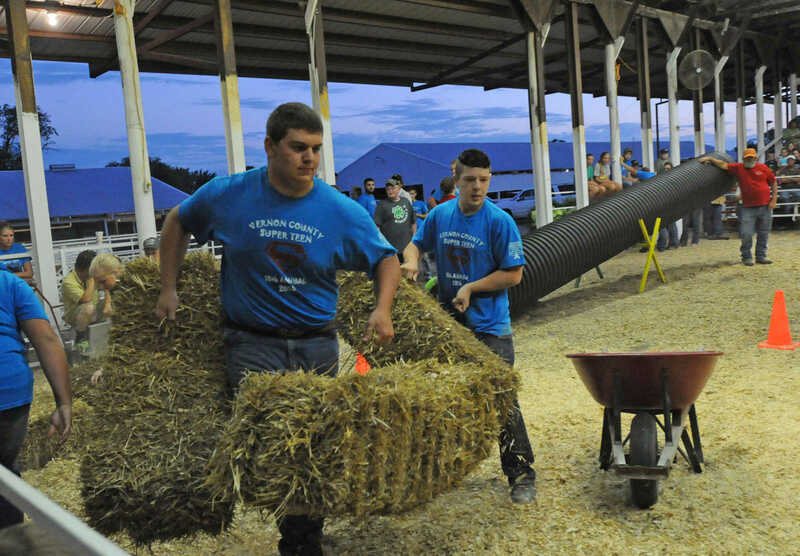 Andrew Schlueter and Jesse Dunkley heft hay bales during the Super Teen obstacle course. 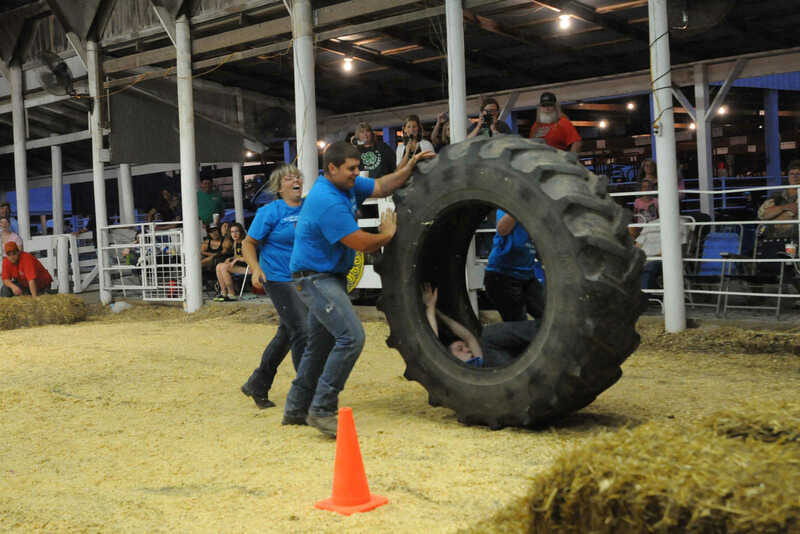 Team Six pus Jesse Dunkley in a tractor wheel during the Super Teen obstacle course. 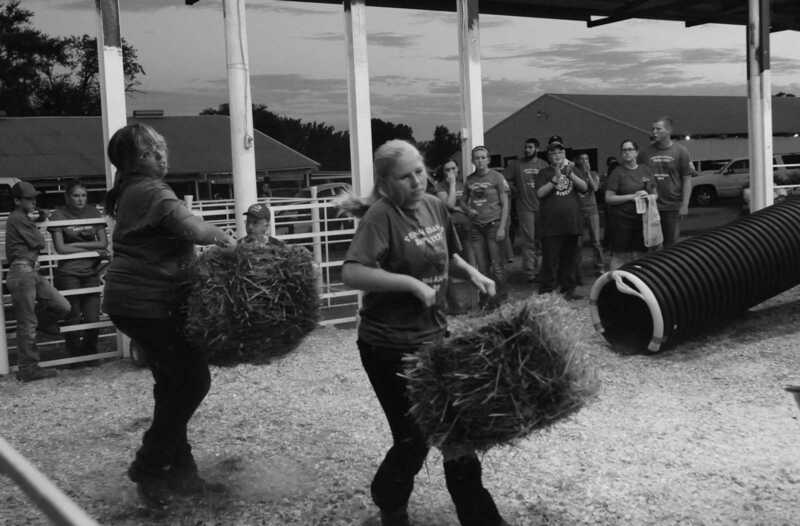 Sarah Byers and Brooklynn Vincent heft hay bales during the Super Teen obstacle course. 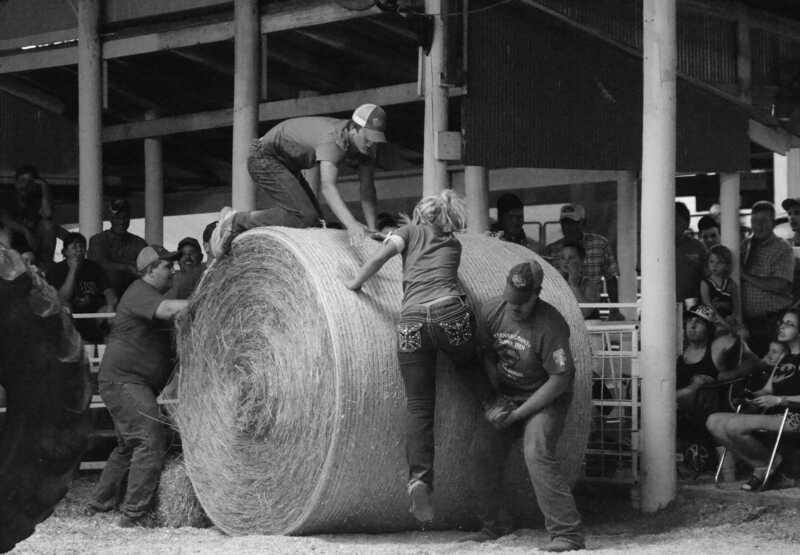 Bryce Whitworth and Chance Wait help Rebecca Schnedler over the hay bale in the Super Teen obstacle course. 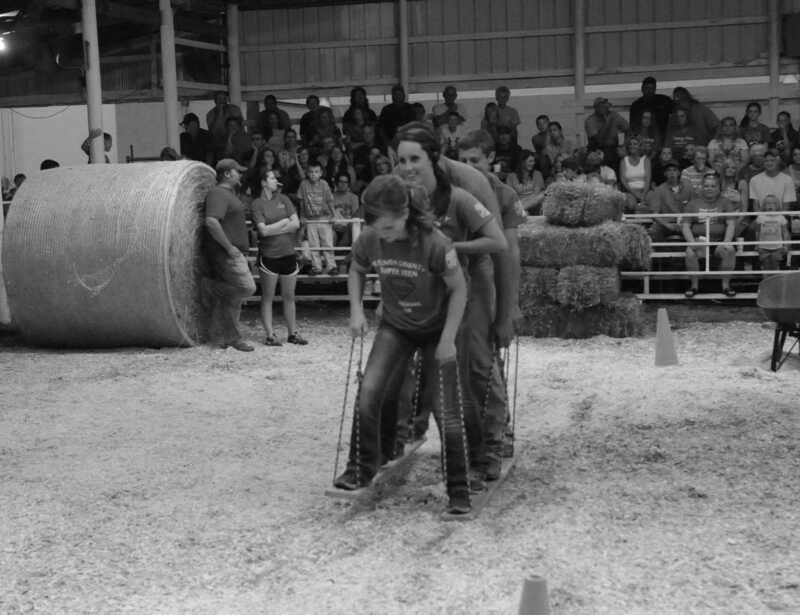 Cara Comstock and Monica Gerken lead Team Five on slats in the Super Teen obstacle course.